A cup of tea and a good book, though a bit of a cliché, is one of those classic combinations that will never go out of style. Whatever your mood, curling up with a steaming mug of your favourite tea and a dog-eared paperback and settling in for the evening is bound to relieve all stresses and worries. You need a specific kind of book for a proper tea and reading night in – nothing too taxing, nothing that you’re trying desperately to get into with no avail, and nothing upsetting or scary. Think of this as like a spa treatment for your mind: you want to feel so relaxed you might float away, not so jumpy that you might fall off your seat. I would go for a classic, or something you have read before and know that you love, a short story collection, and a non-fiction book. Being that I love tea almost as much as I love books (though not quite) I jumped at the chance to review some samples of Twinings tea. I was pleasantly surprised when these arrived and I discovered that the samples consisted of three tins of tea – English Breakfast, Earl Grey, and Lady Grey. 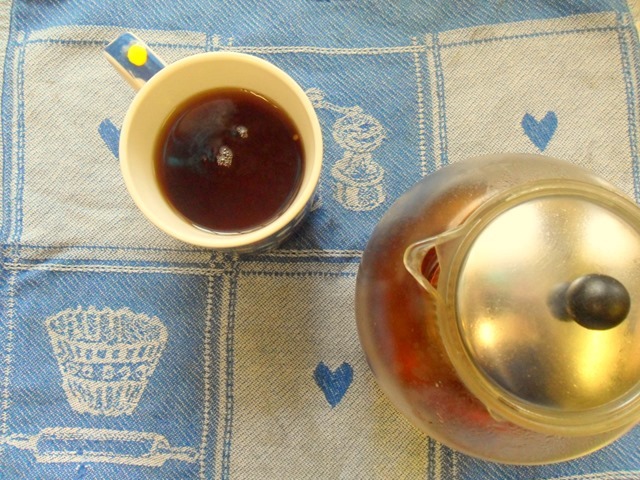 I was already familiar with English Breakfast and Earl Grey, though I’m of the school of thought that you can never have too much tea, but hadn’t ever tried Lady Grey. Lady Grey is a variation on Earl Grey, and is a black tea with lemon peel, orange peel and lavender peel. In my research I found that it was created because tea drinkers in Nordic countries thought that traditional Earl Grey was too overpowering, and so Twinings created this new blend with a lower concentration of bergamot oil and some citrus flavourings. 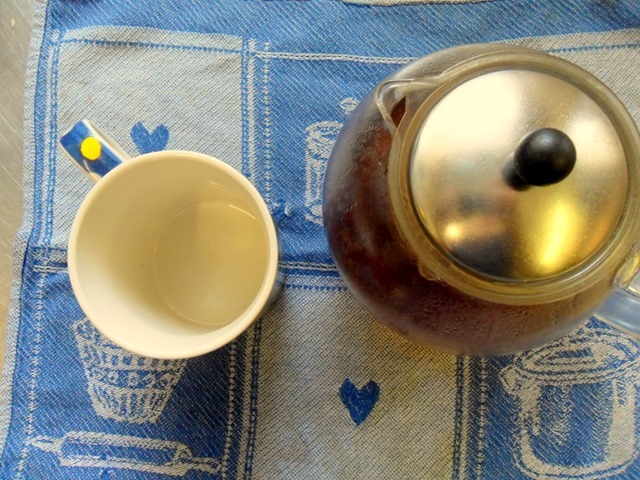 I really enjoyed it – much lighter than a traditional black tea, and less heavily perfumed than Earl Grey. The addition of a slice of lemon made it slightly too acidic for my liking, so next time I brew a pot I might go with the suggestion of adding a slice of orange instead. 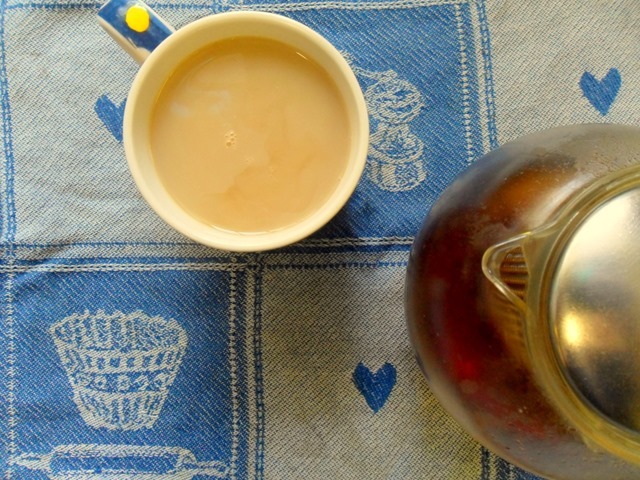 English Breakfast simply tastes of comfort and British stoicism, and Earl Grey is a firm favourite of mine when I want something just a little different. These tins will be a welcome addition to my ever-expanding tea collection, and may even convince me to invest in a new loose tea teapot, as the one I have is on its last legs. If you find black tea too bitter or overwhelming, Twinings also do a range of white tea, which has a lighter and more delicate flavour. 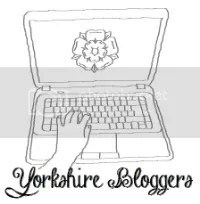 You can also find a range of ideas and recipes for afternoon tea on their website, if you’d rather entertain some friends and family than curl up with a tome and a teapot. The traditional teas served at an afternoon tea are Assam, Darjeeling, Earl Grey, and Lapsang Souchong, though you could experiment with different types of tea. 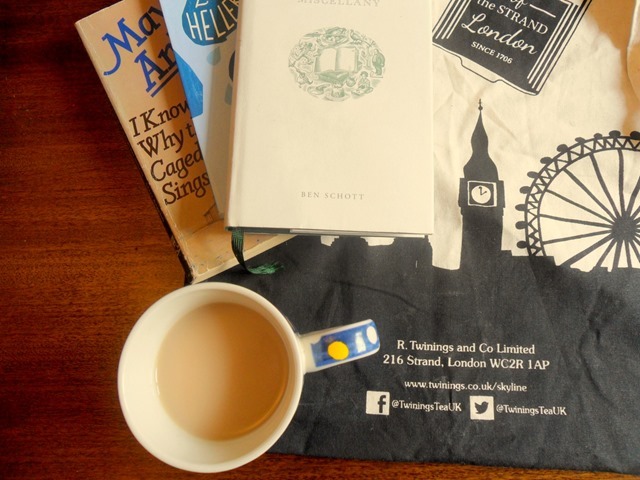 I received three tins of tea and a canvas bag – perfect for carting my books around – from Twinings in return for this post. All words and opinions are entirely my own. I love Twinings tea and I agree, a good book and a cuppa is a perfect combination! Love your pictures too and what a lovely canvas bag. Can’t say I’m a fan of the old Early Grey though! More of an English Breakfast type o’gal.